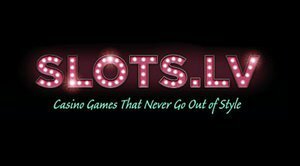 Big cats are on the prowl at Slots.lv, looking to put up to $10022 into the gaming and real world wallets of all new and existing players registered with the site. There's still time to get your share from the special offer over at Slots.lv with the contest ending at midnight on December 21, 2014 for the holiday season. Hit the My Bonuses tab and use the bonus code HOHOHO, which can be redeemed only once, to get yourself on board with the bonuses that some cool cats are bringing your way. You will instantly be eligible for $250 in deposit matching at 125% as well as gaining one entry for a $5000 shopping spree for every $50 deposited between now and the end of the contest! This portion is available for all players on the site. For those who are just joining, a $5000 welcome package awaits, making sure you have plenty of cash on hand to try out as many of the amazing games hosted on the site as it takes to find your favourite. Additionally, a $22 No Deposit Bonus is waiting to be claimed to stretch your winnings even further! Need somewhere to get started with your gaming adventure now that you've got all that cash on hand? Why not take your gambling on the go with the new additions to the Slots.lv line up of games for iOS and Android powered devices? The biggest of the big cats is on the hunt for new players that want to take home some big prizes with Golden Tiger, a slot with appeal to players new and seasoned, featuring five reels and 25 pay lines. This game also offers a tie in to a progressive jackpot, meaning that players everywhere are increasing the pot with every spin instead of a static amount set by the casino for you to win! Free games won in Golden Tiger are rewarded with bonuses and multipliers which increase the chance for bigger wins along the way to grabbing the ever increasing jackpot! Not enough big cats for your on-the-go gaming this holiday season? The Lion's Lair offers a progressive jackpot that can be won on the go and an interesting Wilds pattern that changes the game dynamic for more experienced players with 20 pay lines across five reels. Need one more amazing mobile game? Lucky Cat offers both a fixed jackpot AND a randomly awarded progressive jackpot! Bonus symbols pairs with the Lucky Cat symbol across the 20 pay lines triggers free spins which increase the chance to take one of the great top prize pools home with you. Get your bonuses while you still can at Slots.lv and stay tuned into the site as more great promotions are always being unveiled at this desktop and mobile casino.